The Willoughby CEL Multi-station Stainless Steel Washfountain is a multi-user fixture for vandal-resistant commercial use. 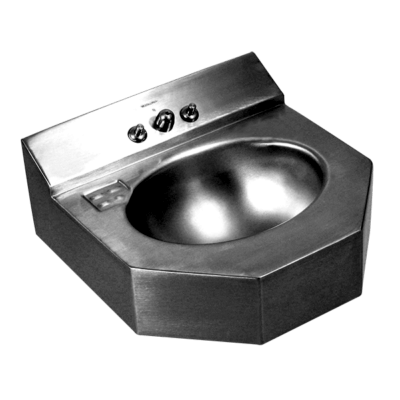 All CEL washfountain fixtures are fabricated from 14 gauge, Type 304 stainless steel, with all exposed surfaces polished to a #4 satin finish. 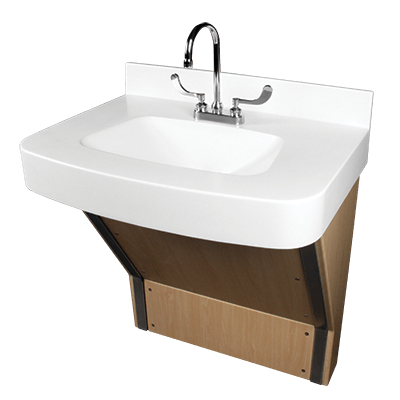 Standard CEL fixtures come with an integral basin/pedestal; drain assembly; selected valve, controls, and plumbing; and stainless steel trap enclosure (shroud). It can be specified in either Two Station (CEL-2817- 2) or Three Station (CEL-4818- 3) configurations, with an Adult ADA or Junior ADA (JR) rim height. Anchoring is through the included Z-clip and mounting holes (anchoring hardware and adequate backing by others). 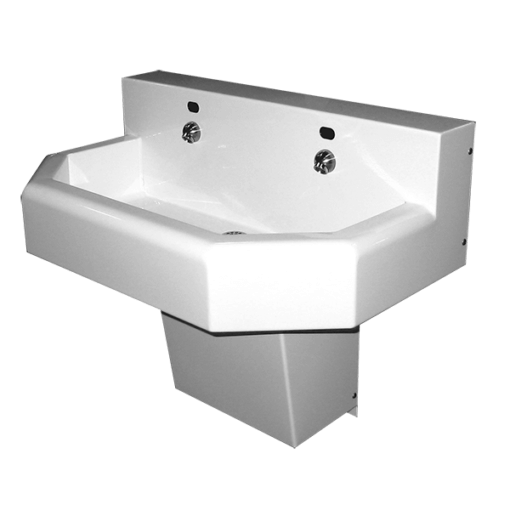 The CEL washfountain can be supplied with optional DC white powder coat finish. 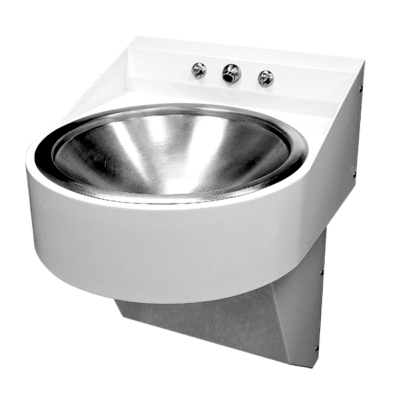 All connections between the outside plumbing and the CEL washfountain are concealed within the stainless steel pedestal. The fixture meets all applicable ADA and ANSI accessibility guidelines when mounted at the correct applicable rim height above the finished floor.